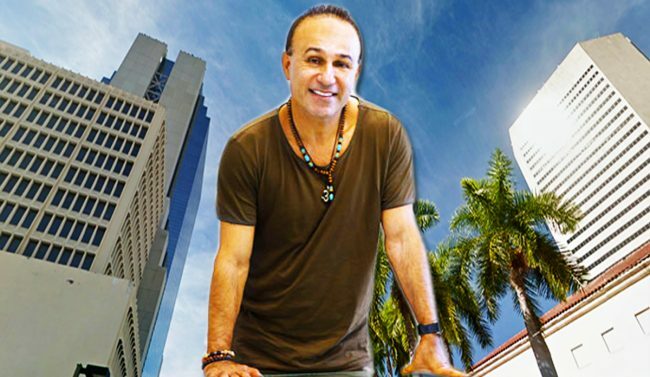 Moishe Mana dropped nearly $5 million on office units at 100 East Flagler Street, adding to his holdings at the downtown Miami office building. Mana paid $4.75 million for more than 25,600 square feet of office space on floors 2, 3, 8 and 9 at the 10-story Wells Fargo building. Popular Condo No. 3 LLC, led by Abraham Franco, sold the units. Mika Mattingly and Linn Ahsberg of Colliers International South Florida brokered the deal. Mana owns the majority of the building with units on floors 2, 3, 6, 8, 9 and 10. In late 2016, he paid $1.7 million for the two-story penthouse at the office building. Mana began investing in downtown Miami about four years ago, and has spent more than $270 million on real estate in the Flagler Street area since then. His plans for the more than 1 million square feet of building space and 8 acres of land in downtown include converting the properties into retail, office and residential. Zyscovich Architects is designing the project. Property records show Mana also owns the adjacent building at 110 East Flagler Street, in addition to others on the same block. In November, he paid $9.27 million for a vacant lot at 151 Northeast First Street. In Wynwood, Mana has amassed 40 acres where he plans to build the Mana Wynwood Americas-Asia Trade Center & International Financial Center, a trade hub and cultural campus.